Sony has claimed bragging rights for the first camera announcement of 2019 (just edging out Olympus) in unveiling the a6400, a 24.2-megapixel APS-C CMOS sensor camera with a selfie-friendly 180-degree tiltable screen. It features the world’s fastest AF acquisition speed of (a claimed) .02 seconds (among interchangeable lens cameras with an APS-C image sensor, that is). Not to mention 425 phase-detection and contrast-detection AF points, covering 84 percent of the image area. Just like the premium Sony a9. Another new feature is Real-time Eye AF and Real-time Tracking, an AI-based algorithm (the best sort!) which is also being added to three high-end Sony cameras through a firmware update. The camera can shoot 4K video, and is capable of recording time-lapse footage with a built-in interval recorder that can shoot a total of 9999 images, between one and 60 seconds. It has a maximum ISO of 32000 (expandable to 102,400 for stills) and can shoot continuous photos at up to 11 frames per second with the mechanical shutter or 8fps with silent shooting, both with full AF/AE tracking. 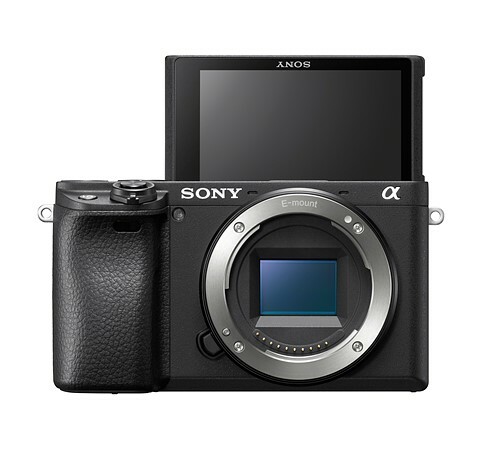 The a6400 is geared toward keen enthusiasts and videographers, who can leverage the tiltable screen to monitor their solo self-style shooting – a practice that’s apparently all the rage with the modern day vlogger.